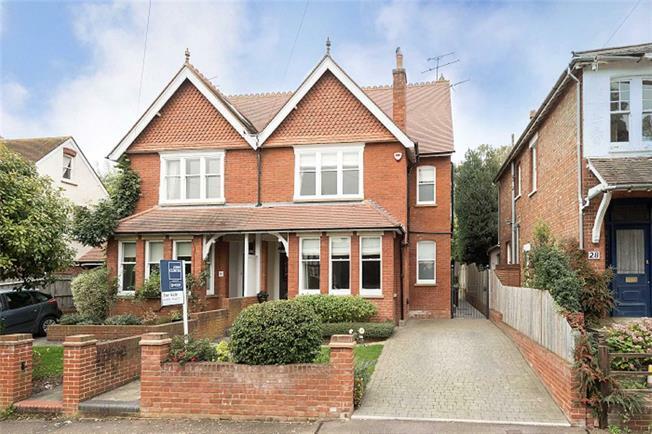 5 Bedroom Semi Detached House For Sale in Harpenden for Guide Price £1,425,000. The house offers many character features, boasting high corniced ceilings in the principal rooms and a spacious, superb kitchen/dining/family room, which is part vaulted with doors opening to a private and mature garden. Wordsworth Road is located in the heart of the "Poets" area and is conveniently located, being within walking distance of the station, town centre and excellent junior and secondary schools. Harpenden is a very popular commuter town, enjoying superb social facilities, including golf courses, sports centre and tennis clubs, whilst the town itself enjoys a good selection of fine restaurants, bars and cafés.